How do I delete numerous channels at once !!! NOT one channel at a at time ??? Solution 1: The TSC114 isn't designed to allow you to do that. There is only one input cable from the satellite dish. Sky boxes have 2, allowing you to record on one while watching the other. Problem: How do I delete numerous channels at once !!! NOT one channel at a at time ??? Solution 1: You unfortunately can't it's a pain but only way is one channel at a time. All problems on this page have been submitted and answered by users. 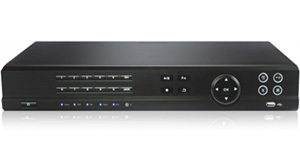 If you have a problem with the Triax TSC114 HD Combi Receiver, please submit it below and we'll post it here. - Yes, during firmware upgrade box failed resulting in no Remote Control use, only Red LED showing on Box and Blue screen displaying Text: "Download from USB" on Top and "Open File Fail! all showing on TV Screen.I downloaded file from Triax Website and it installed perfect on my friends STB (Same Make/Model) and have received no, none whatsoever assistance or help from Triax Customer Care?